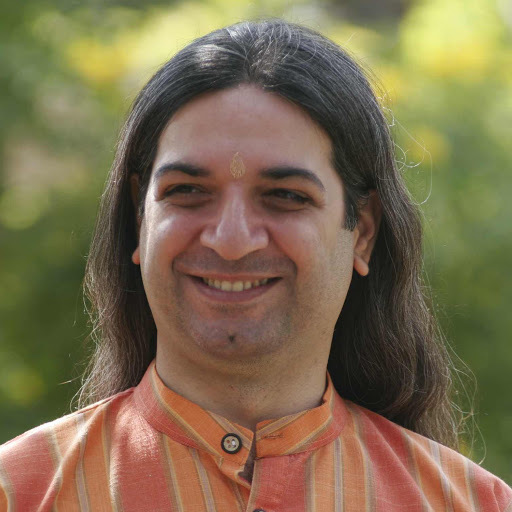 Khurshed holds an M.Sc in Mathematics from IIT Bombay. He is a Parsi and is fondly called Bawa, a nickname he inherited from his IIT days. More than 20 years ago, he decided he would rather teach people how to meditate and make them happy instead of teaching them math and making them miserable. He became an Art of Living teacher and this allowed him to do exactly that and gave him the freedom to explore many of his varied passions. Dinesh holds a B.Tech in Metallurgy and Material Sciences from IIT Bombay. He’d always wanted to make a difference to the people around him and the world in general. At the age of 21, he became an Art of Living teacher and has taught the secrets of the mind and meditation in more than 30 countries. He is a fitness enthusiast and thoroughly enjoys his daily workouts. He does awesome Yoga. He has a unique, and often, humourous take on current affairs which he prolifically expresses through his tweets. They live in a beautiful home surrounded by nature in the Art of Living Bangalore Ashram with their friends who are their family, all of whom contribute in some way or other to everything they are involved in. In the hustle and bustle of life, sleep is the first thing to be compromised. People imagine they can survive on scanty sleep, that it is not as essential for health as say the right food and exercise. How do you counter such general ignorance? One counters this (and all other) ignorance through knowledge. You could exercise, but if you don’t sleep enough, your body will not be able to recuperate and you will hardly see any result. In fact, you might actually end up injuring yourself. You could eat all the right types of food, but if the nutrients in the food don’t get absorbed in your system, there is not much point to it. Lack of sleep will compromise your health, make you age faster, and lead to a massive drop in efficiency and creativity. 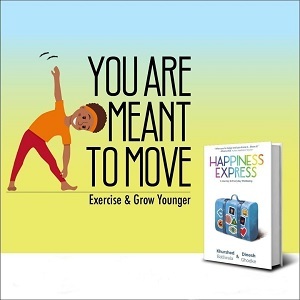 Read the chapter on sleep in Happiness Express and you will see that adequate good-quality sleep is critical-it is the foundation on which health and happiness rest. This book is a fine balance between science and spirituality-you use both to build your arguments. Would you call yourself a scientist or a philosopher? Science is the foundation of Spirituality. Spirituality is the continuation of Science. In ancient India, there was no conflict between the two. All our scientists were saints. We should just continue that tradition. You’d earlier written a book called Ready, Study, Go!, which was a bestseller. Is this book a sequel to that one? Ready, Study, Go! was a book that talked about smart ways to learn and optimise the way you think and study. This book is about smart ways to live. It is a journey to everyday well-being. 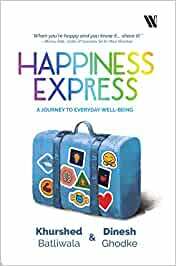 You don’t need to read the first book in order to enjoy and learn from Happiness Express. So, no, it’s not a sequel. Though I would suggest you read Ready, Study, Go! anyway-it’s a superb read (if I may say so myself), and you will definitely pick up a thing or two about learning. Though many know about the benefits of meditation, most people do not know the right way to mediate and harbour many misconceptions around it. How do you educate them? Can a non-religious person mediate? We have talked at length about the benefits of meditation in Happiness Express, considering it to be one of the keys to a long-lasting smile. Anyone can meditate. It is a step-by-step procedure, which if followed, will lead you into the fourth state of consciousness. It is as natural as being awake, sleeping or dreaming, which all humans do regardless of their belief system. There are many schools of meditation, but we have only experienced Sri Sri Ravi Shankar’s Art of Living series of techniques. We have practised them for over 25 years and find that they work. We can highly recommend you learn meditation from here. About the other schools, it would be unfair to comment, because we truly don’t know what they teach. Nutritionists talk about the effects of food on the body, but you take it to a different level and talk about how nourishment affects the brain. Please tell us more. Did you know that scientists have traced the cause of depression, anxiety and various other mental traumas to what’s going on in the gut? There is a gut-brain connection. The gut is considered by most doctors as the second brain. What you eat will affect how you feel. Our microbiome consists of trillions of bacteria that reside within us and on us. The colonies of bacteria in the gut and all over our body dictate many aspects of our brain. Eating the right types of food will create conditions for the right types of bacteria to flourish within us. Keep the good guys happy, and you yourself will become healthier and happier. 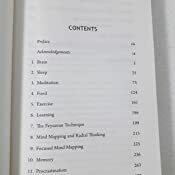 You speak about Mind Mapping in your earlier book too. What new lessons about Mind Mapping can we learn here? Mind Mapping is a learning tool. It is a way to use your brain the way it was meant to be used. Ready, Study, Go! details the fundamentals of the technique of mind-mapping. 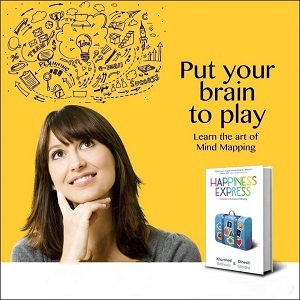 In Happiness Express, we do a quick recap of the technique and then go on to explore a specialised way of Mind Mapping which we call Focused Mind Mapping. This technique is very useful when you want to use Mind Mapping to manage bigger projects. If there is one thing you would advise everyone to do every day to lead a happy, fulfilling life, what would it be? All those things you know are good for you, but you don’t seem to find the time to do them? Do them! 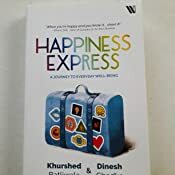 Read Happiness Express and do the stuff we have written about in it. Reading the book will give you a tonne of great ideas to lead a happy, fulfilling life. But ideas, unless implemented, remain just that. And ideas don’t do any good to anyone. When you actually puts those ideas to practice, you will begin to see the changes you have been dreaming about. 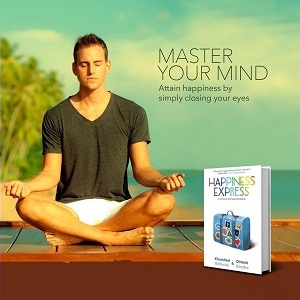 Start reading Happiness Express on your Kindle in under a minute. Very nicely written book. Informative with practically implementable tools to improve the quality of our sleep and diet. I feel motivated to exercise and bring about simple lifestyle changes for a better healthier me with this book. A perfect gift of good health for people we care for. A fun-filled, witty, humorous and light read. Loved every bit of the book! 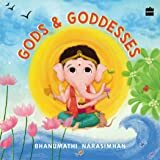 The book highlights the importance of physical excercise for younger brain and essential parts of day to day life which we donot focus upon. The book begins with a chapter on brain making you careful about what you do. BAWA got this idea of writing this book when his mother passed away depicting you only give your best when you are in pain. A must one for young generation as different techniques are discussed in depth apart from mind mapping and radial thinking. Happiness sutras potrays yin yang school of thought in order to anticipate the change. 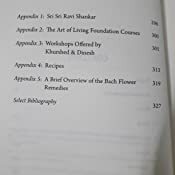 The different workshops offered by khurshed and Dinesh are also well covered.It is a pious gift to humanity and whole universe. Love you Bawa and Dinesh. Having read the previous one (Ready Study Go) by the authors, I was quite excited about this one too. And I must say this book turned out to be another great piece of knowledge by them. 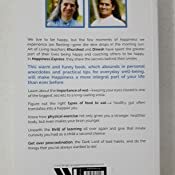 It has almost everything one needs to know about personal health, fitness & of course happiness.. And all this in so much detail, explained very well & in a very creative manner. 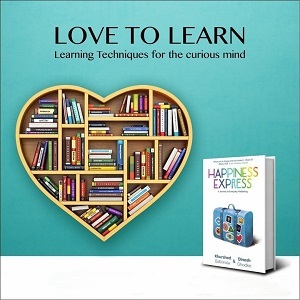 Definitely a MUST HAVE for anyone, specially the ones who wish to make the most of their time & capabilities..
A lot of love has been put into this book by Dinesh and Khurshed. Very easy to read and free flowing words of wiadom with a good font size. I recommend this book to read and gift to others. One of the best book I have read. If put in to practice it can change your life. Thanks to writers for such insightful work.